Like all OMNTEC sensors, the OWS sensors are easy to install, reliable and cost-effective. The OWS sensors are designed to monitor the accumulation of oil in oil/water separators through the use of one or two floats. 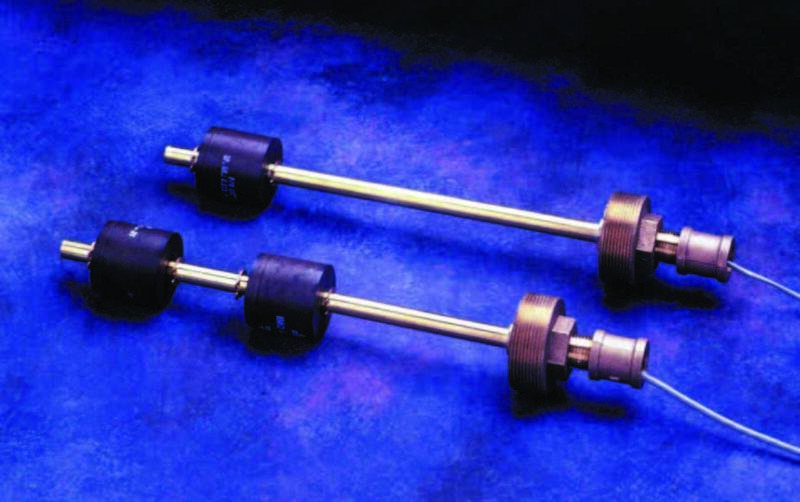 Primary features of these oil/water-separator sensors are their versatility and durability. They are designed in segments to allow the user to field adjust the depth at which the floats will detect oil. This enables the OWS sensors to be used with a variety of tank sizes and site parameters. OMNTEC provides even greater versatility with these sensors by offering the float, mounting and stem in a variety of materials. The OWI-1 determines the level of the oil/water interface and signals the controller to turn on the audio-visual high-oil-level alarm. The OWI-2 signals both a caution level (warning an operator that the collected-oil level is nearing the pump-out level) and a high-oil level (warning the operator that the OWS has reached the required pump-out level). The OWP-2 monitors the tank for low-liquid levels and can be used for an automatic oil pump-out. Ruggedly constructed, the OWS sensors provide reliable and cost-effective performance.